Tool and die manufacturing facilities can reap huge rewards from analyzing their compressed air system for potential leaks. Compressed air systems are typically leaking 20%-30% of their total output. MYESCO recently worked with a tool and die company to identify possible energy saving opportunities at their building. Knowing that a compressed air leak audit could potentially lead to a large reduction in energy usage, we felt the best place to start was to identify and tag all leaks throughout the facility. 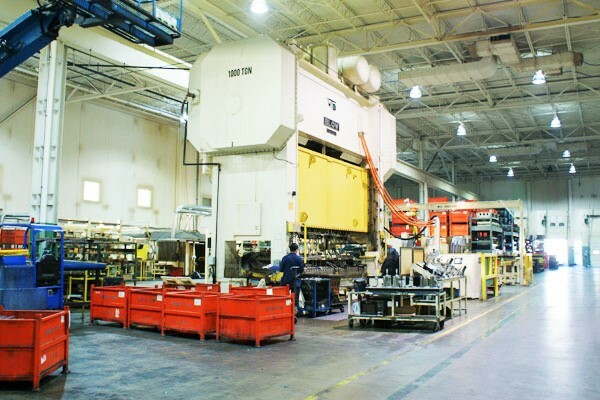 This particular company had just over 20,000 square feet of manufacturing space. The team at MYESCO successfully identified almost 20 leaks, with most of them being undetectable to the human ear. An ultrasonic acoustic device was used, which allowed us to find every leak throughout the entire building. Through further analysis of their entire compressed air system, MYESCO also estimated they were leaking over 50% of their total output, resulting in a large amount of wasted energy. Fixing and repairing the leaks we identified in our audit could potentially save this company over 10% of their total annual electric bill, providing a huge boost to their bottom line! A comprehensive leak audit and repair is a great way for any manufacturing facility to save on energy and costs. It’s not a question of IF your facility is leaking compressed air, it’s HOW MUCH. Contact us today, as we would be happy to show you the leaks at your facility – 616-226-5550.